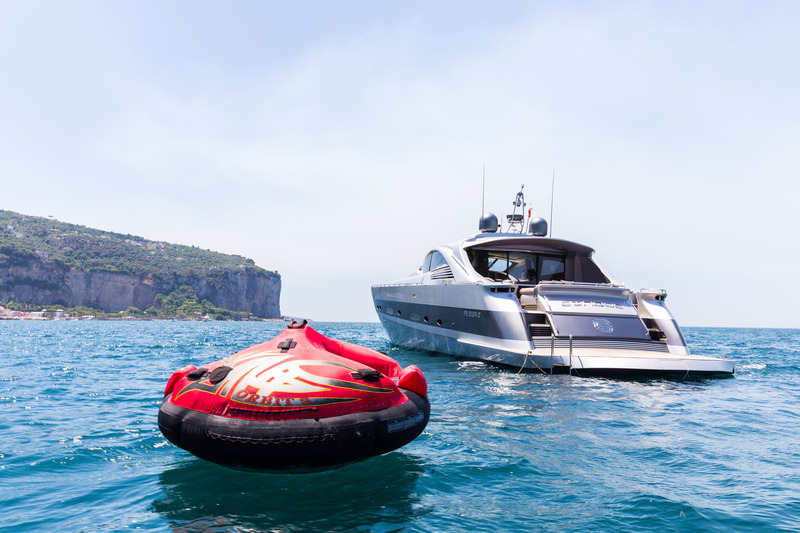 Motor Yacht CINQUE is a 27m (88,7ft) Pershing 88 built in 2004 and refitted in 2015, that provides accommodation for up to 8 charter guests in 4 cabins. 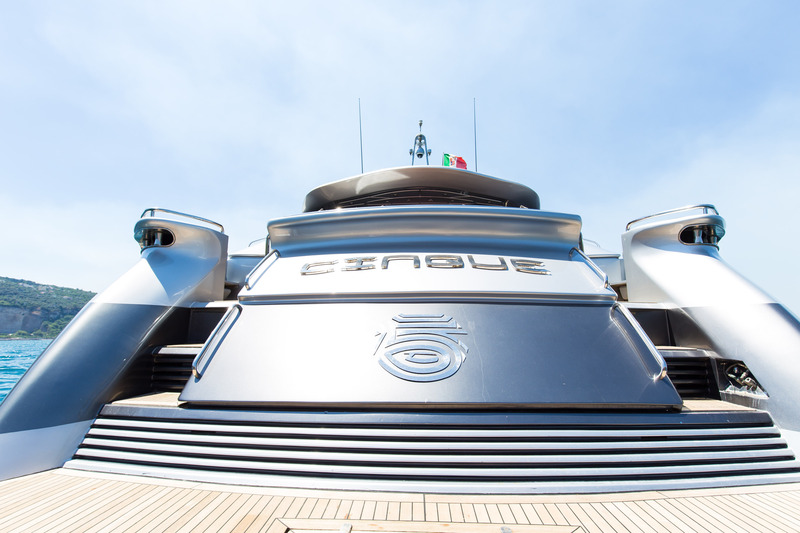 Elegant, powerful, and remarkably spacious, CINQUE is a unique blend of modern and classic styling that provides a welcoming and comfortable ambience. 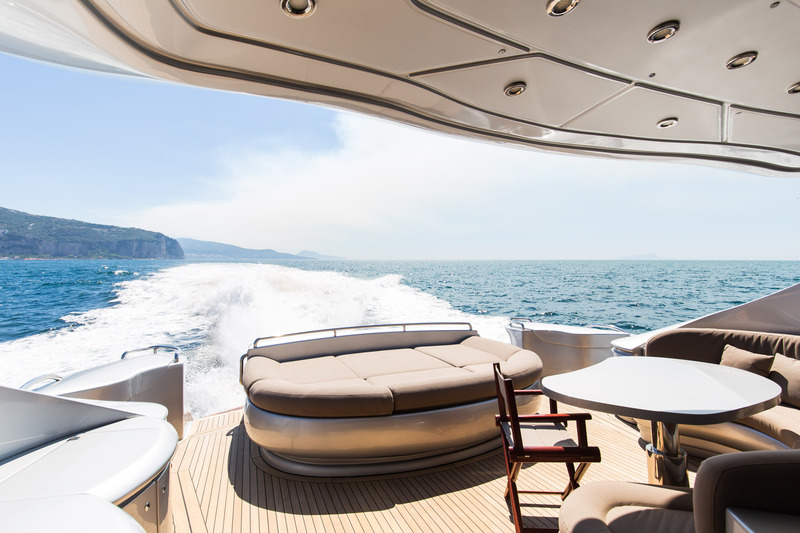 Her salon offers a large circular couch in brown warm leather to the port side, also used as a dining area when the glass table is up. 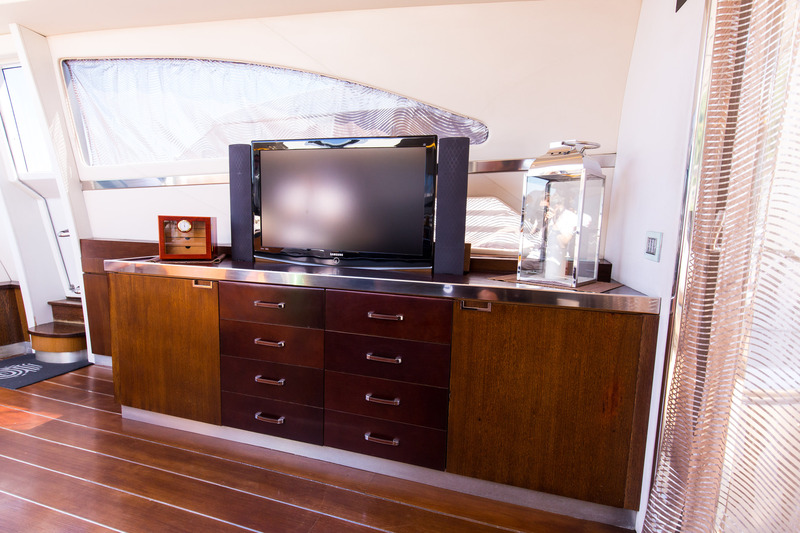 It faces the TV screen and cabinet and is located just before the helm. 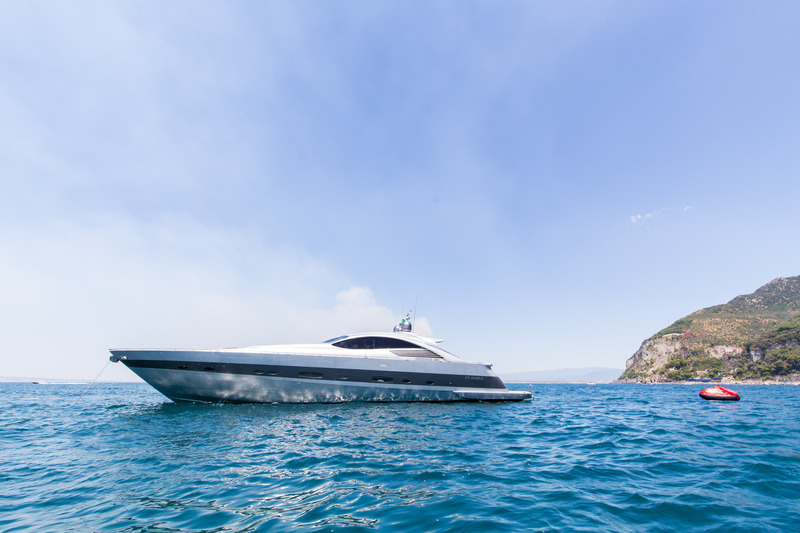 She boasts a lovely sliding hardtop which is a spectacular feature, as it can be completely uncovered allowing guests to lounge in the open air, or to dine alfresco under the stars. 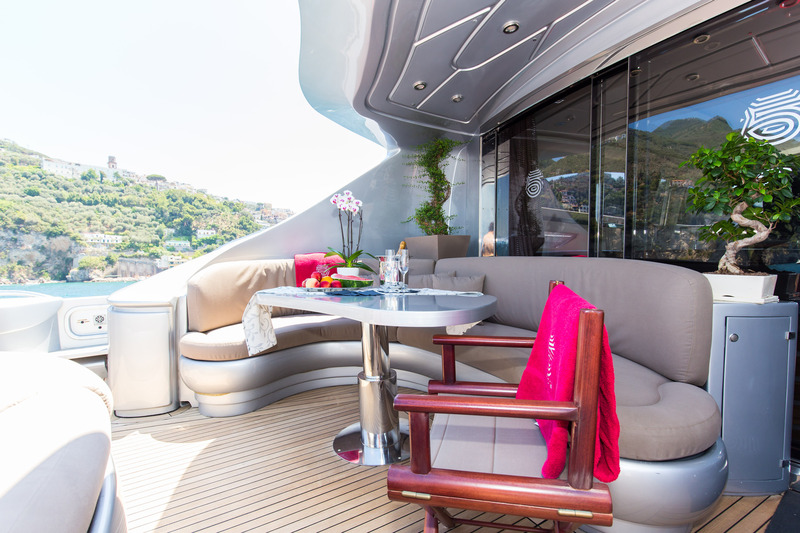 A lower deck salon with large sofa and coffee table offers added privacy and leads into the 4 cabins. 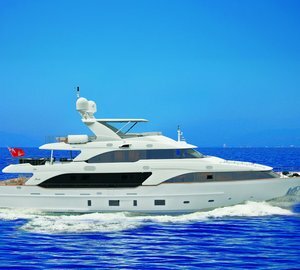 With her 2 x MTU 2000hp engines and her planing steel hull, CINQUE cruises comfortably at 27 knots with top speeds of 37 knots. 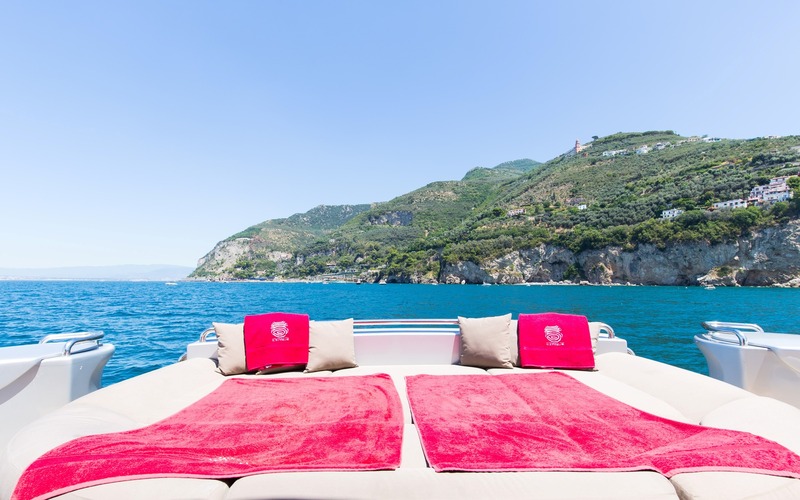 CINQUE can sleep up to 8 guests in 4 well appointed cabins, all on the lower deck. 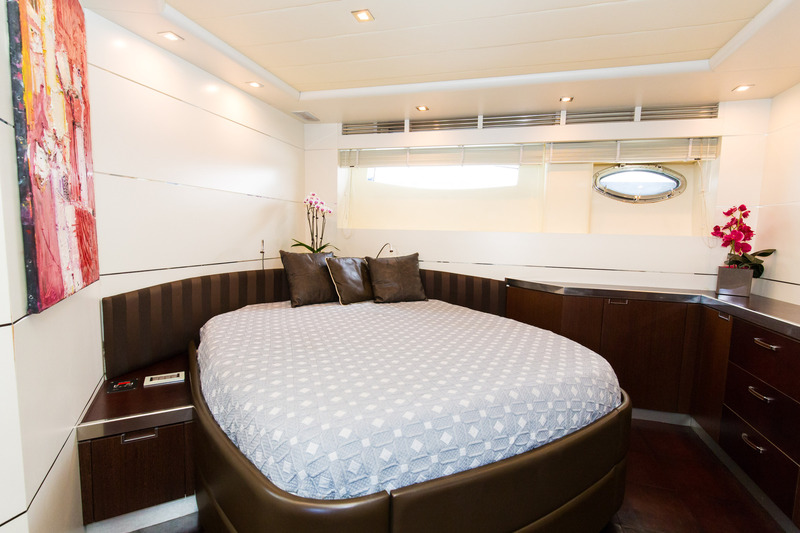 The Master suite is located aft and is full beam of the yacht. 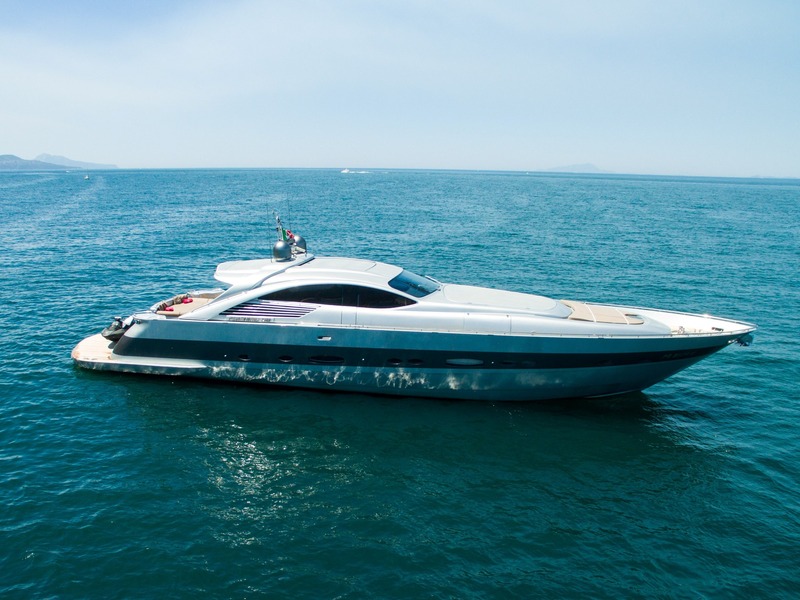 It comprises a private Jacuzzi and a Queen size bed. 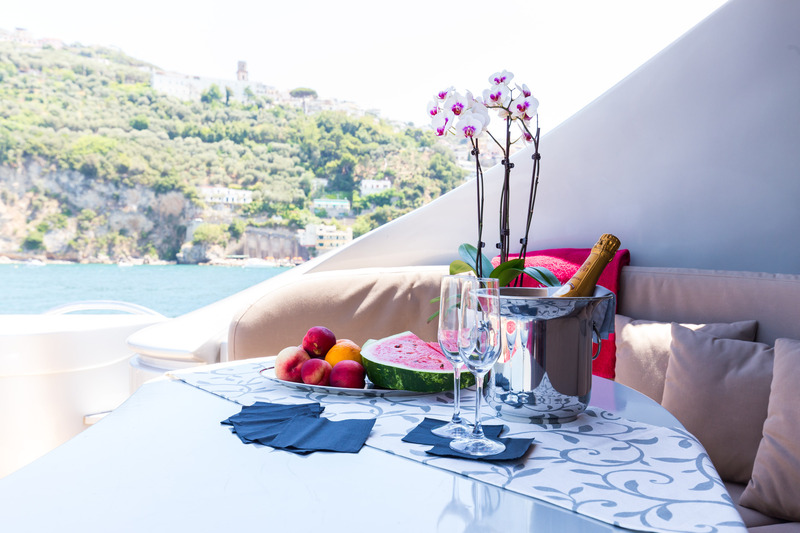 The VIP suite is located forward and also has private ensuite facilities. 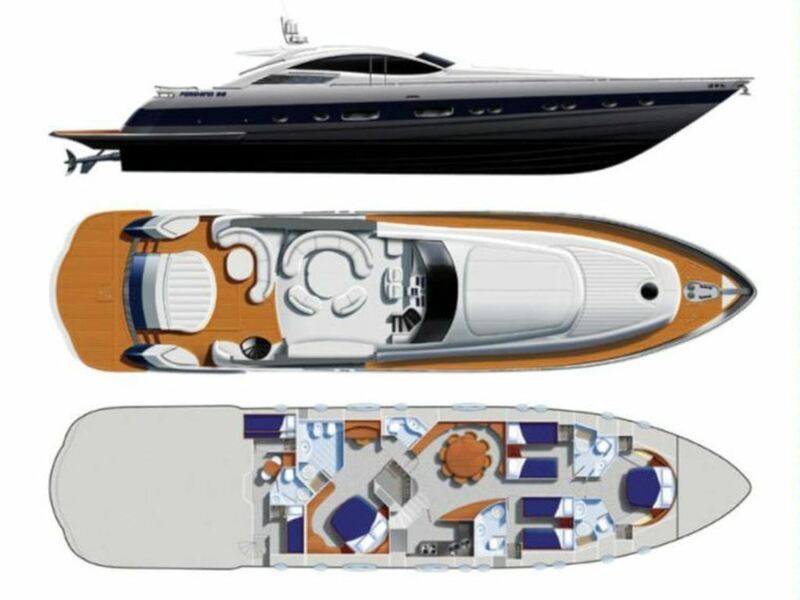 The 2 twin cabins are located on each side of the lower deck, between the salon and the VIP suite, and share the same bathroom. 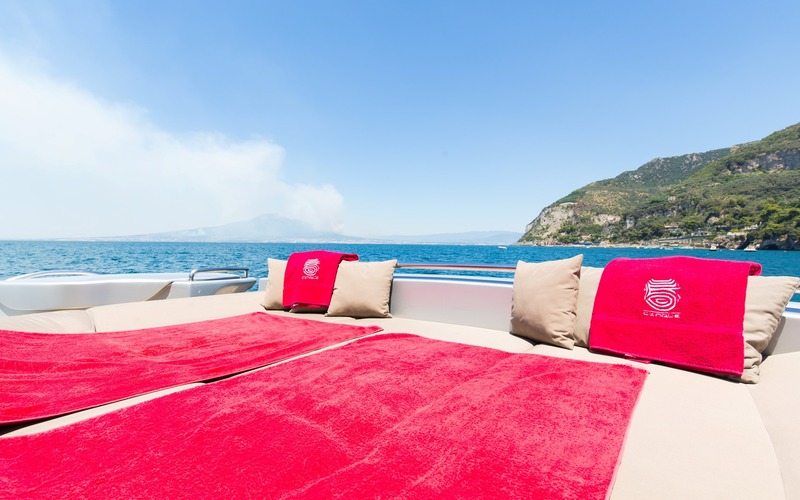 Tenders & Toys Tender 4,70 hidrojet 70 hp, Jet Ski, Surfs, Inflatables, Scuba-diving equipment Communications Radar, satellite TV, Wifi internet Audio Visual Equipment and Deck Facilities TV in the main saloon and all cabins, state of the art audio visual equipment.